Patrice Muller has extensive experience in providing public policy, competition and regulatory advice to private and public sector clients in the UK and overseas and has directed many large-scale, pan-European projects. He leads our Financial Services and Capital Markets team and is also joint lead of our Public Policy Economics team. Patrice sits on the Directors’ Remuneration Committee for the European Bank for Reconstruction and Development (EBRD), on the UK Trade and Investment PIMS Advisory Group and he is a Business Associate of the Centre for International Business & Management (CIBAM) at the Cambridge Judge Business School. Prior to joining London Economics, Patrice was a member of the board of the EBRD. 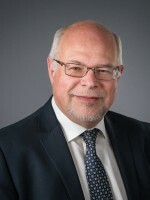 Previously, he held a senior position at the Privy Council Office in Canada advising Canadian Prime Ministers on micro and macroeconomic policy issues and various positions at the Department of Finance, the Bank of Canada and the OECD. Patrice Muller has a MA in economics from the University of Michigan and a licence en sciences économiques from the Université Catholique de Louvain in Belgium.